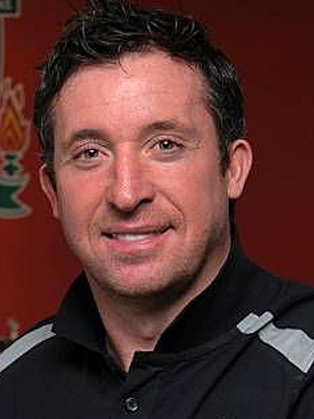 Still well-known and much loved within the UK, Robbie Fowler was a celebrated professional footballer who played most of his career with Liverpool in the top flight in English football. Fowler, since retiring, has taken up property management and boasts a vast portfolio. He now tours the country offering advice on such matters and is a great speaker, charity host and inspirational character who can motivate sporting and corporate audiences with his charm and insight. During his playing years from 1993 to 2012, Flower played up front as a striker and netted a total of 120 goals in 236 games for The Reds. He also played for Leeds United, Manchester City, Cardiff, Blackburn, and three sides in Australia later in his career. In this time he won many honours including the FA Cup, League Cup twice, FA Charity Shield, UEFA Cup and Super Cup, as well as winning many individual awards for his prowess with the ball. These include Young Player of the Year, a Fair Play Award and Player of the Month awards a number of times. Hugely popular with players and fan alike, Robbie is a charismatic character who was included in England’s squads for Euro 96, Euro 2000 and the 2002 FIFA World Cup. In all he played for the national side 26 times and scored seven goals. Known for being a natural scorer and with a great knack for goal poaching, he remains one of the game’s most celebrated and in demand sporting stars.